Looking For Toner Cartridge Suppliers? 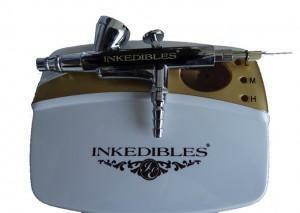 Inkedibles is a high quality edible ink manufacturer for the cake decoration industry. We hold our brand to the highest standard and have taken years to test and develop our line of products before releasing them to market. We believe we have the best quality product on the market, at a competitive price, and we stand behind our product 100%. If you are in the cake decorating business, or if you are thinking of getting into the cake decorating business, you will not be dissapointed by trying our products and we are sure that you will be a regular customer. Give Inkedibles a try and let us earn your repeat business. Inkedibles is the brain child of many years of specialty ink design and development, leading up to the introduction of the brand in 2011 with a high end but yet affordable edible ink printing concept for the cake decoration industry. Although edible inks and edible papers led to the birth of the Inkedibles brand, other cake decoration product lines are available or under development by Inkedibles.